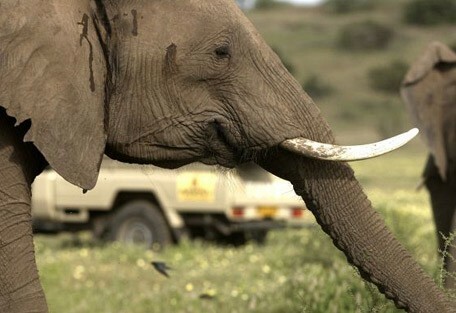 The Tuli Block in Botswana offers a wonderful wildlife area in which to view game. The Tuli Block has an abundance of mammals as well as a long list of birds. The area also offers fascinating scenery. 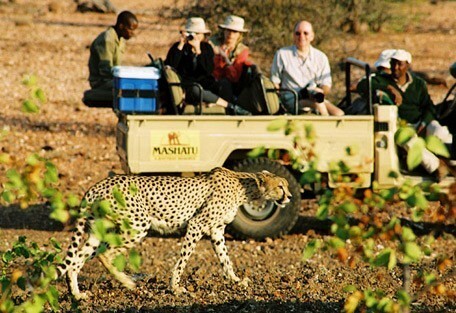 The Tuli Block integrates the Mashatu Game Reserve, Tuli Nature Reserve and other smaller game reserves. The Tuli Block is situated in Botswana between the Sashe and Limpopo rivers, this section of land forms a triangle where the international borders of Botswana, Zimbabwe and South Africa meet. The Tuli Block is unlike any other region in the country, offering its own majesty. Set in a landscape of remarkable natural beauty, it consists of 12 000 hectares of the largest privately-owned game conservation area in Southern Africa. Known as 'the land of the giants' due to the enormous trees on the banks of the Limpopo River, it also charms with beautiful riverine forests of lime-green fever trees, and rocky landscapes carved from ancient granite and basalt rocks over millions of years. 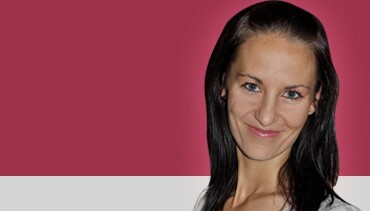 The Tuli block has without a doubt, it's own kind of splendour. There are luxury safari lodges in the area and fantastic game viewing opportunities, not to mention the birding, and the famous leopards of Tuli. A variety of activities offer an all-rounded experience. This lesser known game reserve is situated between the Sashe and Limpopo rivers, at Botswana's border with Zimababwe and South Africa, making it a great combination destination for a safari in any one of these countries. The Tuli Block is the largest privately-owned game conservation area in Southern Africa, and it offers a diverse range of interesting activities, from horse riding to cycling, walking and off-road driving. Huge vistas, and stunning topography incorporating giant old trees and rocky features carved from ancient granite and basalt rocks make this region incomparable. 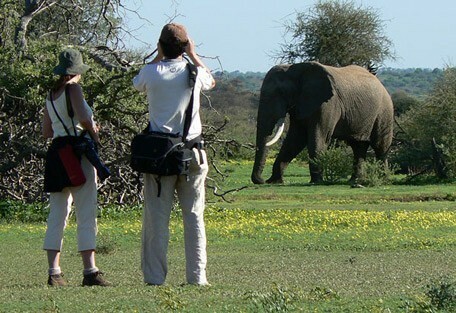 On the Mashatu Game Reserve in Tuli reside impressively large herds of elephant that are said to make up the biggest population on privately owned in Africa, while Tuli is also famous for leopards, as well as incredible star-gazing opportunities. The Camp is located along the shady flood plain of the Limpopo River, under the massive riverine trees including the magnificent Mashatu and tall Apple-leaf trees. The Tuli Block offers a variety of safari options in the area, particularly enjoyed by the adventurous guests and will suit guests who enjoy exercise. 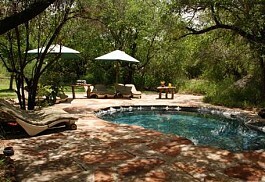 Horse safaris as well as cycling safaris are very popular. 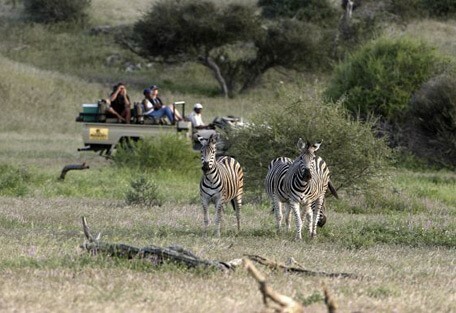 Guests can take a ride on the wild side amongst elephant or gallop with zebra and wildebeest. 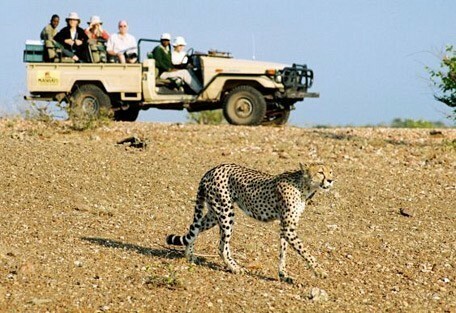 Walking trails as well as 4x4 safaris are also available. 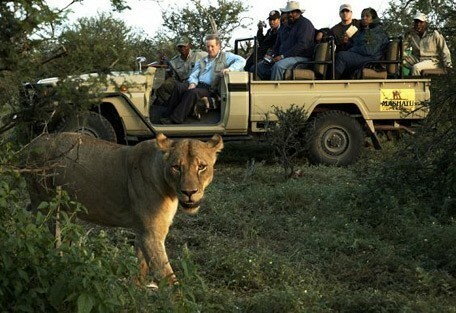 Game viewing is good and Mashatu Game Reserve is home to large herds of elephant, prides of lion, and cheetah. Along the river courses, guests can expect to see eland, impala, wildebeest and zebra, whilst at night, the bat-eared fox, African wild cat and the magnificent leopard search for prey. 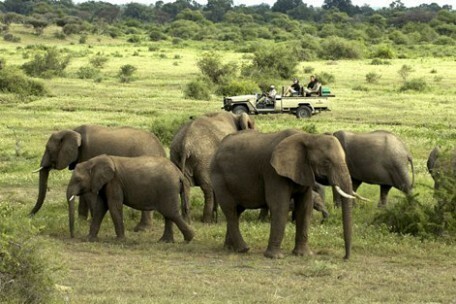 Mashatu Game Reserve provides a refuge for the largest, single population of elephants on privately-owned land in Africa. Known as the relic herds of Shashe, these elephants are the last living testament to the great herds that once populated the meandering Limpopo valley. The Tuli Block experiences a short rainy season, which is peaks in December, mid-summer. The rains are in full force in November after having sporadically started in September. The warm summer season lasts from September until April, enjoying temperatures of up to 30 degrees Celsius during the day and staying mild into the night. For the most part of the year, the Tuli Block is dry, particularly in mid-winter, which in from June to August. 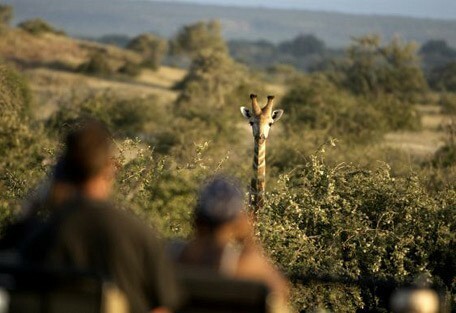 The lack of rain means the vegetation doesn't grow and game viewing becomes pleasurably easy. Temperatures during winter are cold at night, often dipping below 10 degress Celsius, but during the day there are pleasant temperatures of around 20 degrees Celsius. Mashatu Tented Camp is the leisure choice for the guest who seeks the ultimate one-on-one bush experience and who prefers a more intimate environment (and no children under the age of 12). 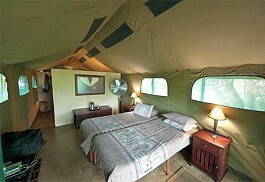 Eight completely private tents are tucked under the branches of enormous trees, accessible via meandering pathways. Mashatu Main Camp is designed for luxury safari accommodation with 14 luxury suites that lie along the camp’s perimeter, and are designed to allow absolute privacy and a communion with the bush and its inhabitants. Tuli Wilderness Camp is located in the northern section of the Tuli Game Reserve, in the permanently watered marsh region, which means game viewing is good year-round. 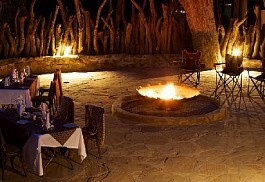 This is an unfenced camp with 5 ensuite, safari-style tents that overlook an active waterhole. There is the option to embark on off-road and night time game drives at Tuli Wilderness, ensuring guests don't miss a thing. Tuli Block is located on the border of South Africa and, depending on timing, requires either a road transfer over the border and to the lodge in the Tuli Block, or a chartered flight to Mashatu airstrip. 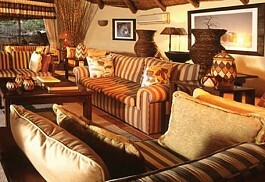 Sun Safaris will arrange for guests to get an early flight to Phalaborwa airport in Limpopo Province, South Africa. 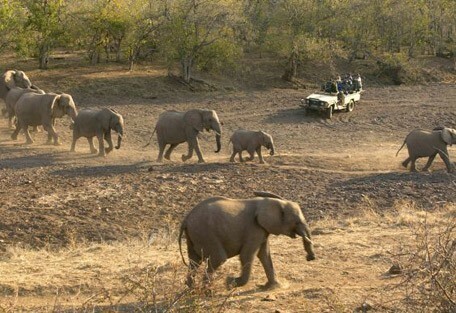 Arriving early in the morning means that there will be time to connect with a scheduled road transfer that will take guests over the South African border and into the Tuli Block, Botswana. Alternatively, Sun Safaris will arrange for guests to catch a chartered flight, privately run by Mashatu Lodge (located in the Tuli Block). The chartered flight will fly guests from Phalaborwa airport to the Mashatu airstrip, from where the lodge hosts will meet and drive guests to their booked accommodation at Mashatu.